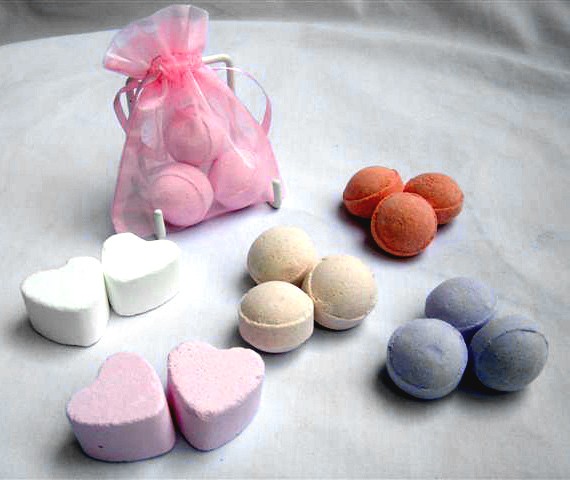 3 mini Bath Bombs or Bath Hearts make a lovely scented wedding favour presented in an organza pouch. The colours and scents vary so that they will match any colour scheme. Can also be presented in a gift box decorated to your specification. Please note: there is an extra charge for the gift box.